Berry season is upon us, friends. Ripe and plump and lovely berries are popping up in groceries, and I had to pick up some blueberries this weekend. 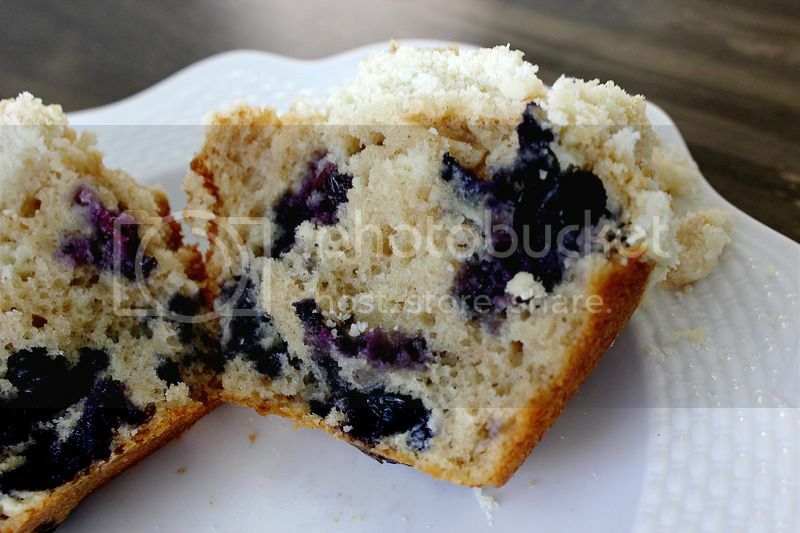 I've made some blueberry baked goods in the past with the Summer Berry Bundt Cake, the Blueberry Crumb Bars, and the Raspberry-Blueberry Muffins, to name a few. This time I went for something more traditional with a straight up bakery-style jumbo blueberry muffin. 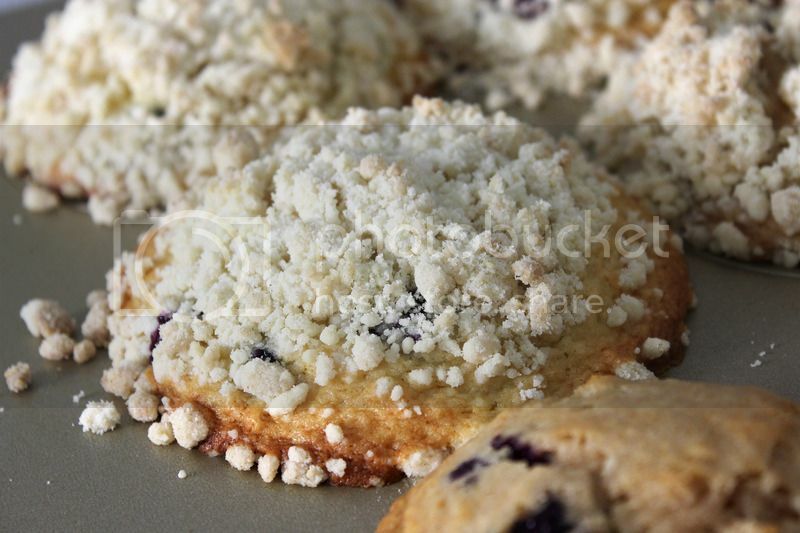 I included some streusel topping here too, as I think everyone loves a streusel topping, but you can of course make these without. I did one without the topping so you can see what that looks like too. The nice thing about baking with blueberries is that you can always take some that are not quite ripe yet, not really great for eating straight from container to mouth, bake them up, and voila! They are transformed in the baked good into sweet and tart deliciousness. I went for the jumbo variety here, because I have a nicer jumbo muffin pan than a regular-sized one, and because, duh, you get to feel like you went to a fancy bakery and got yourself a nice big muffin. Only you can make this super easily at home. You probably have all of the ingredients already waiting to be used in your kitchen. Oh also - I didn't do it this time around, but a fun thing to do with streusel is to fill up your muffin tin halfway, stick some streusel in there, then fill up the rest, then stick some streusel on top for a double dose of streusel goodness in your muffins. Totally up to you! This recipe is pretty dang versatile. You can substitute other berries and get great results too. And, yes, if you want to make regular-sized muffins, that works too. You just have to adjust your baking times to be a bit less and take out that initial five minutes at a higher temperature. So what are you waiting for? 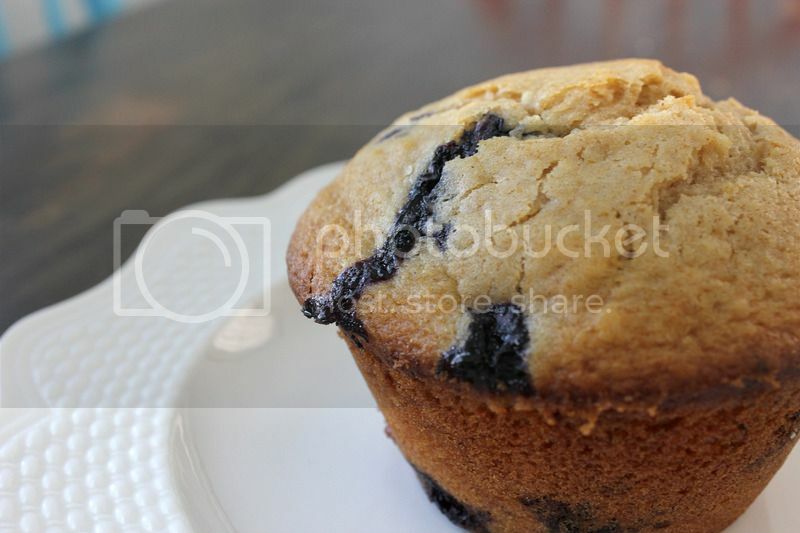 If you're a fan of blueberry muffins, you should definitely give these a try at home rather than buying one of those jiffy box mixes. You can use frozen blueberries here, too, so it's easy to do any time of the year! Preheat oven to 425F. Spray your muffin tin with non-stick spray. In a small bowl, combine your streusel ingredients with a fork until coarse and almost sandy. Set aside for now. In a large bowl, toss together your flour, baking powder, salt and cinnamon for about 20 seconds. In a medium bowl, whisk together the egg and sugar until combined well. Whisk in the oil, milk and vanilla. Slowly fold the wet ingredients into the dry ingredients and mix carefully by hand, making sure not to overmix. Just make sure you don't have any big bits of flour. It'll be nice and thick and slightly lumpy. Then, fold in your blueberries. Pour your batter into your prepared muffin tin, filling all the way to the top. Then, sprinkle the streusel generously on top. Bake at 425F for five minutes. Turn the oven down to 375F and bake for another 20-25 minutes until the tops are golden and the centers are set. Allow to cool in the pan for 10 minutes before enjoying! These are wonderful. Just the right amount of blueberries and sweetness. They have been added to our family favorite list! Thank you, Jen!!!!!!!! !